Within the framework of the Marie Curie Initial Training Network’s (ITN) Resilience in East African Landscapes (REAL) project, a field-training course was proposed and implemented by Dr Benoit Hazard of EHESS. The goal of this training was to introduce students to various field methodologies in theory and practice. At the end of an introductory theoretical session, all trainees proceeded to Olkaria for a hands-on experience in conducting fieldwork using the different methodologies that had been taught. This was beneficial to the students not only to acquire knowledge and experience in field surveying and related methodologies, but also aid in the implementation of individual field researches. • Dr Benoit Hazard: Anthropologist at EHESS and researcher at CNRS, France. • Dr Emannuel Ndiema: A researcher and archaeologist at the National Museums of Kenya. • Dr Debora Nightingale: African Conservation Centre. • Kennedy Gitu: Archaeologist, Kenyatta University. • Chris de Bont: Early Stage Researcher, Stockholm University. • Lillian Awino: Intern, National Museums of Kenya and Anthropology student Moi University. • Victor Kipkeyo, University of Nairobi. • Christine Adongo: Early Stage Researcher, EHESS. 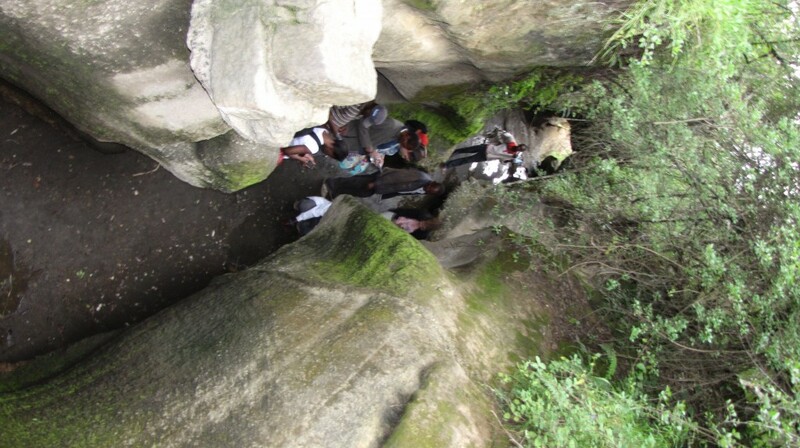 The objective of this field survey (training) was to understand the concept of landscape and find out about the history of significant landscape and cultural features according to the local Maasai pastoralists inhabiting Olkaria area (see map above). This also involved the identification and mapping of important tangible and intangible cultural elements and how these have changed over time. 1. Explore the meaning of landscape to the local Maasai community. 2. Identify and map important landscape features and record narratives associated with them. This included a survey within the Olkaria Gorge. 3. 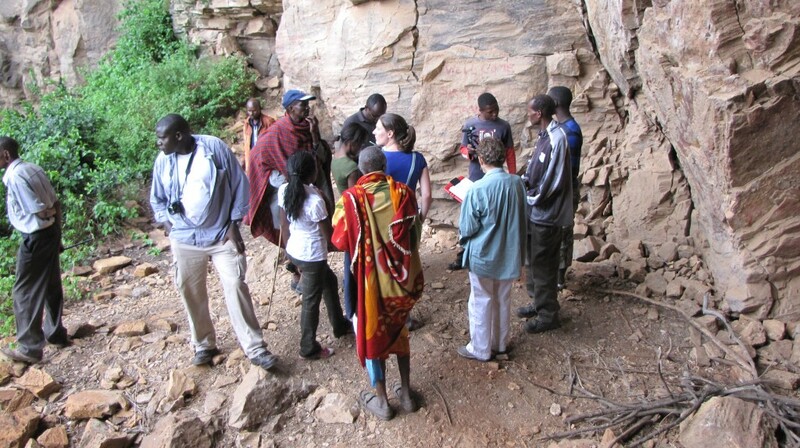 Identify and map important tangible cultural features for the Olkaria community. 4. Conduct a household survey to get a background of prevailing socio-economic conditions. 5. Get an overview of the geothermal development, the inhabitants’ sentiments towards this industry in so far as its impacts, both positive and adverse are concerned. Introduction to the field course was done at the BIEA–IFRA, Nairobi, Kenya. All the trainers were present and each gave a presentation to the participants in anticipation of the field study. Dr. Hazard gave an outline of the training, the area of study, goal of the survey and the framework. He also discussed the methodologies, schedule and output of the fieldwork. The team had a lengthy discussion of socio-ecological changes that have occurred in this area since 200,000 years ago and how the people have adapted to these changes. Also part of the discussion was how to plan a field research, the general principles and practical aspects that are involved in research. Dr. Emmanuel Ndiema, an archaeologist at the National Museums of Kenya gave an introduction to spatial analysis and Geographical Information Systems (GIS) and how to integrate spatial analysis and social ecological data. Systematic observation: Involved observing the landscape and daily activities of the village in order to understand how the village operates, their routine, gender roles, how they relate with one another and any other information that may be of interest to the participants or the study in general. Interviews: Several interviews were planned and conducted. Some of those interviewed included: a former village representative responsible for signing the MOU between KWS and the local Maasai community, A blacksmith, some elders and chair-people of two Project Affected Persons (PAPs) villages. Focus group discussions: Common groups of interest were identified and where possible, a meeting scheduled with them for a discussion. This method was particularly useful in exploring the meaning of landscape to the local inhabitants and identifying important cultural and other landscape features for the community. Historical backgrounds to some of these features and the villages were recorded from focus group discussions. Land and issues surrounding the expansion of geothermal areas and resettlement program were also discussed during focus group discussions. Household survey: To be able to get an overview of current socio-economic background of the inhabitants, a small household survey that targeted three villages was conducted. The household survey shed light on livelihoods, livestock population, land ownership and grazing areas as well as people’s perspective of the geothermal developments and expansion. Participatory mapping: During a focus group discussion with inhabitants of the Ol Olkaria village (see map), we attempted to map some landscape features and resources from the community’s perception of the most significant to the least significant. This was done with the community, where they discussed and unanimously agreed on what was more significant than the other. One student from the group documented this on a 1X1M sheet of paper on the ground. Ground truthing: Following identification of all the significant landscape, cultural and ecological features, with the guidance of some knowledgeable community elders and members, the team set out to visit and to map these features. Remote sensing and GIS: Mapping was an essential component in this study and involved taking GPS coordinates that would later be used to create maps of important landscape features and cultural areas. The following Table 1 gives the chronology of fieldwork as conducted from 27th to 31st March 2014. During all field visits and survey, we had local translators and guides. The village elder Mr Sendero also accompanied the participants during visits to important sites and cultural areas for the local Maasai. 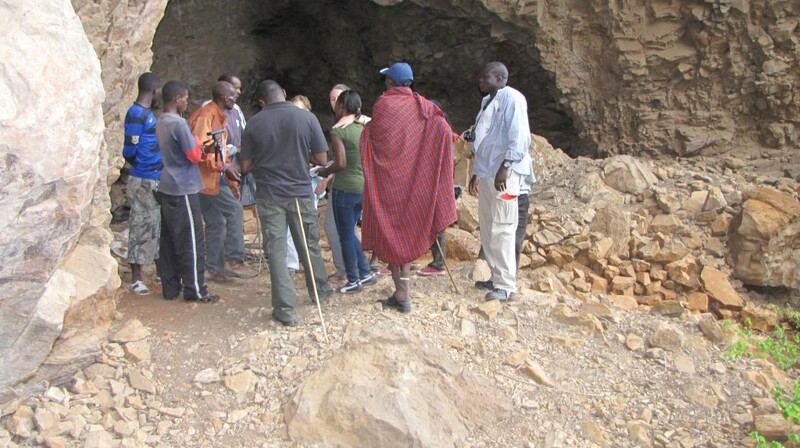 27/03/14 General meeting with Ol Olkaria – Introduction to the local context, Visit to the gorge, Visit to the Enkapune Orpeles cave. 28/03/14 Meeting with Ol Olkaria village chairman – Discussion of EIA report and response, Household survey and mapping, Survey of Orbatata gorge Ol Olkaria. 29/03/14 Visit to Enkaibartani (Fisher’s tower) – Household Surveys and Mapping, Survey and mapping of Orbatata, Interview with Shaa Ole leperes. 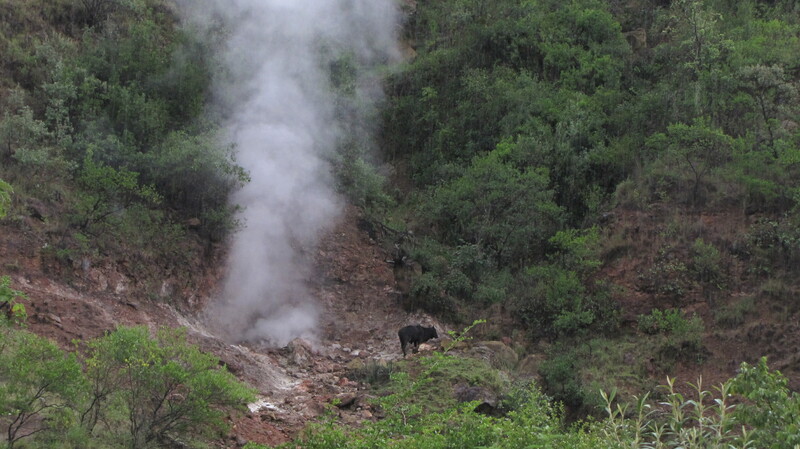 30/03/14 Ol Olkaria Interviews – Ol olkaria Mapping. 31/03/14 Olonongot Interviews – Interview with the village blacksmith Benoit and Christine.